I ran away when I was fifteen and never looked back. I built a new life: good friends, wild adventures, and an endless parade of gorgeous women. But then I got a call that changed everything; a call that told me it was time to go back and face my demons. He was the absolute last thing I needed in my life: someone incapable of taking anything seriously, a notorious ladies’ man, oh, and did I mention… a killer? As in, he shot people. For a living. Yeah, definitely someone I had no plans on letting in. Except, he set his sights on me and, well, when a man like him laid on the charm, he did it thick and in a way that made you never want him to stop. My only saving grace was that he was only in town for a few days. Oh god this book kinda gutted me in parts! I totally devoured this book up very quickly! I Loved Shooter and his charming and sweet talking ways! Amelia and Shooter’s chemistry is off the charts hot. 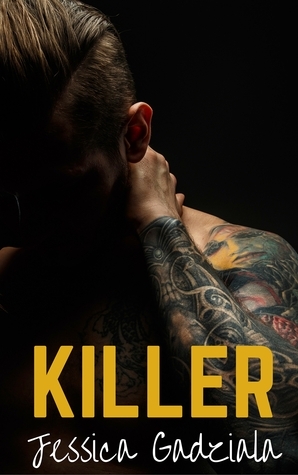 Killer is packed with tons of drama and suspense. I can’t wait for the next book in the series!